WEEKEND WITH ELEVATE THE GLOBE! 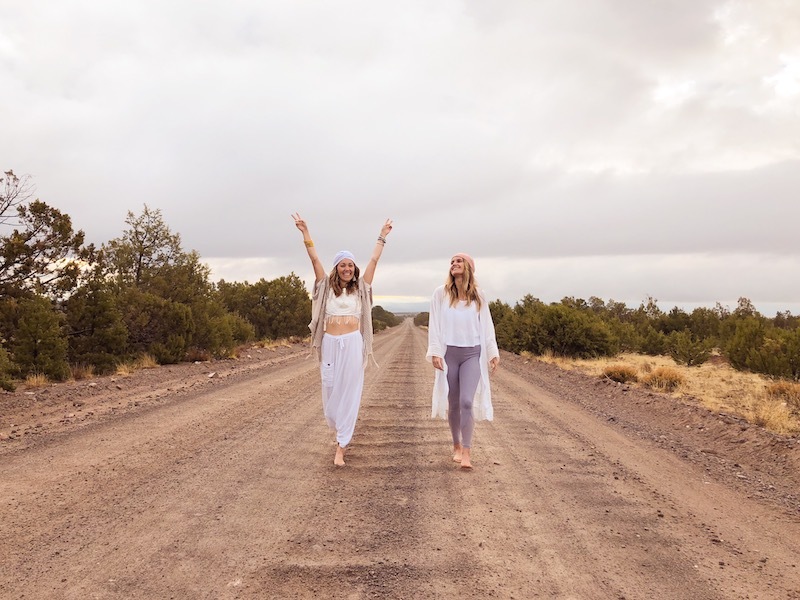 Begin to imagine how open, expansive and recharged you could feel after four days of physical, energetic, mental and spiritual cleansing within the serenity of the desert landscape. Together, under the shimmering desert sky, we will celebrate a Full Moon in Scorpio on Saturday, May 18th and unlock its energetic potential. During this magical weekend, three planets are in retrograde - Jupiter, Saturn and Pluto - making it an essential time to review your life’s journey and where you’re heading. We will use the ancient technologies of Kundalini yoga, breathwork and meditation to awaken the healer within and connect to our authentic selves. 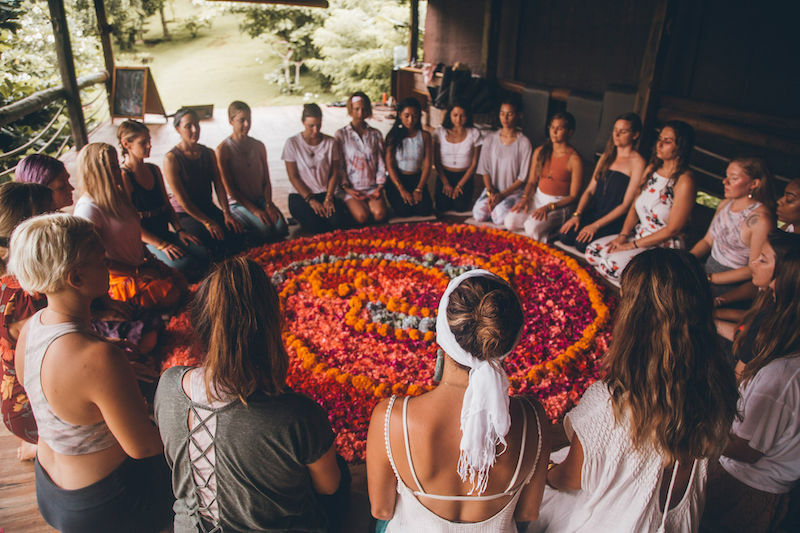 During The Elevated Camp: Sacred Moon Campout we will, together, merge into this mystical and intensified Scorpio Full Moon, strengthen your deep inner wisdom, enter into your subconscious, shed light on your limits, and begin to take conscious steps in manifesting your limitless life. 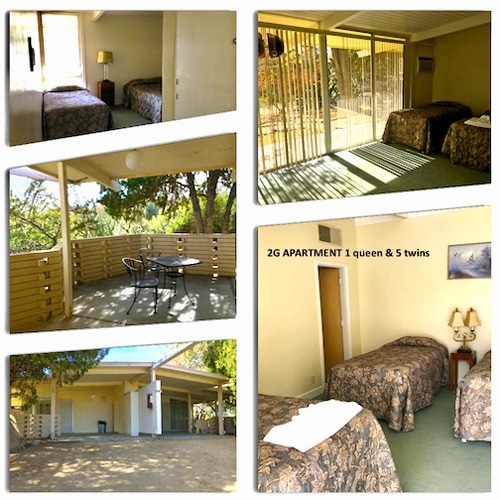 We will experience the beauty and power of the 18 known Vortices on the land of the retreat center in Joshua Tree where energy heightens, intensifies and expands. We will come together as a community to honor ourselves and Mother Earth, and all the bliss and abundance life has to offer and greet your infinite potential. Scorpio is a sign of transformation and intuition. She teaches us to dive deeply into our emotions and generate meaningful exchanges + connections and experience the magic within you. This weekend we will use Kundalini Yoga, Guided Meditations and Shamanic Breathwork to release limiting holds and beliefs as quickly as possible. It is time for you to dive within and connect to your soul on the deepest level and uplevel your life! You deserve to do this for yourself. It’s an undeniable and irreplaceable act of self-love. We will move A LOT of energy, create bonds with like-minded people, and enjoy doing it together as a collective group! 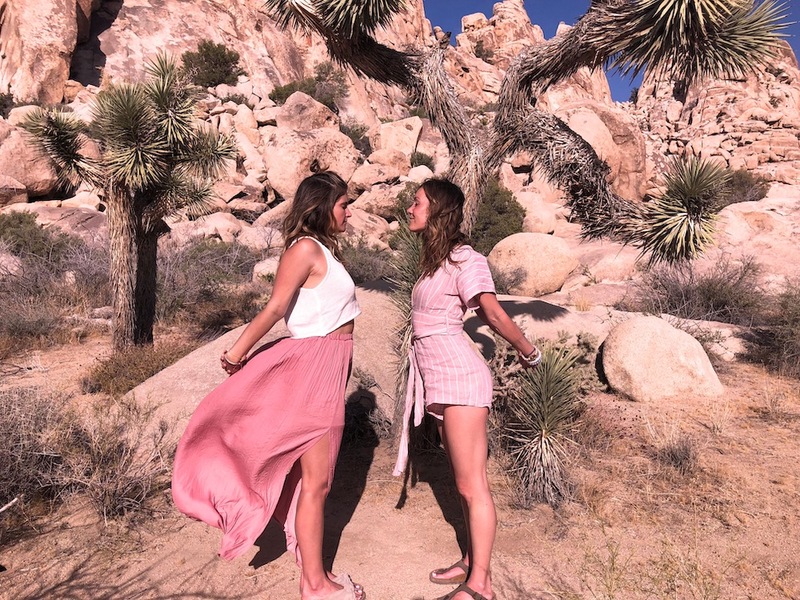 The Scorpio-Taurus axis is all about merging with Mother Earth and we invite YOU to join us in the desert for an experience like no other! There’s nothing to fear within or without, AWAKEN your Soul Power and find your tribe at Elevate The Globe’s Sacred Moon Campout! Tap into the energy of the Full Moon, celebrate her, and begin to manifest your dream reality? Deepen your connection to your divine self and your purpose? Release limitations keeping you from raising the vibration of your energy and alining with your infinite potential? Harmonize with Mother Earth and the zodiac? Find a community of like-minded people and light beings celebrating all the magic life has to offer? 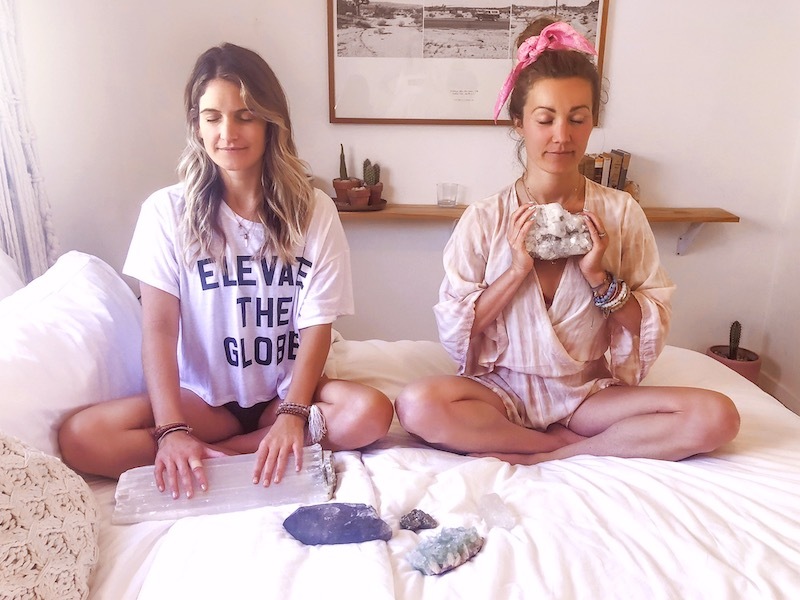 Dive into some deep energy cleansing and elevating? Then The Elevated Camp: Sacred Moon Campout was made for you! SAY NO MORE - I'M READY TO JOIN! Free Time - Rest/Sleep, Hike, Read, Journal, Pool, Etc. 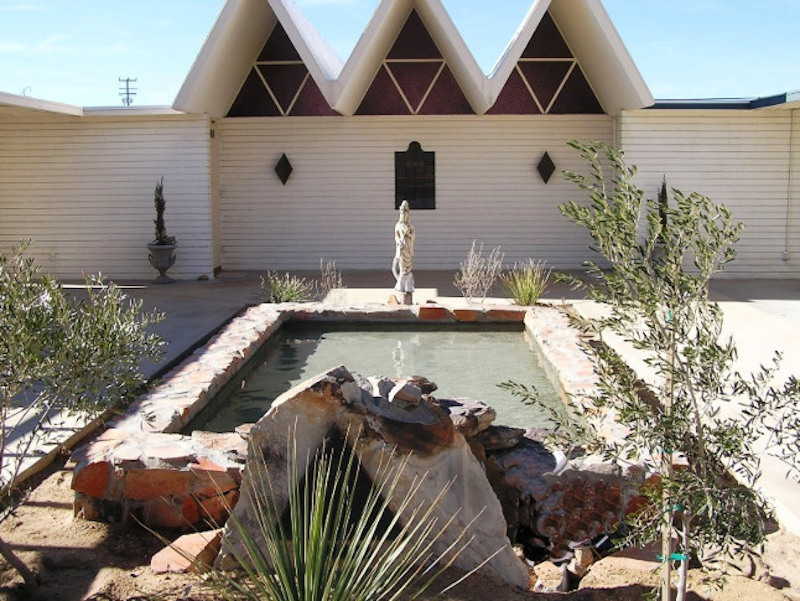 JTRC is the oldest and largest retreat centers in the Western United States. It is an architectural landmark on a sacred piece of land in Joshua Tree, CA. Experience and magnetize with Mother Earth as you experience true nature with us. The Retreat Center has 18 known Vortices on the property that provide incredible POWER to help expand and heal the sacred experience. This place is pure MAGIC that offers amazing outdoor and indoor spaces for meditation, yoga, community, beauty and unreal sunrises and sunsets. 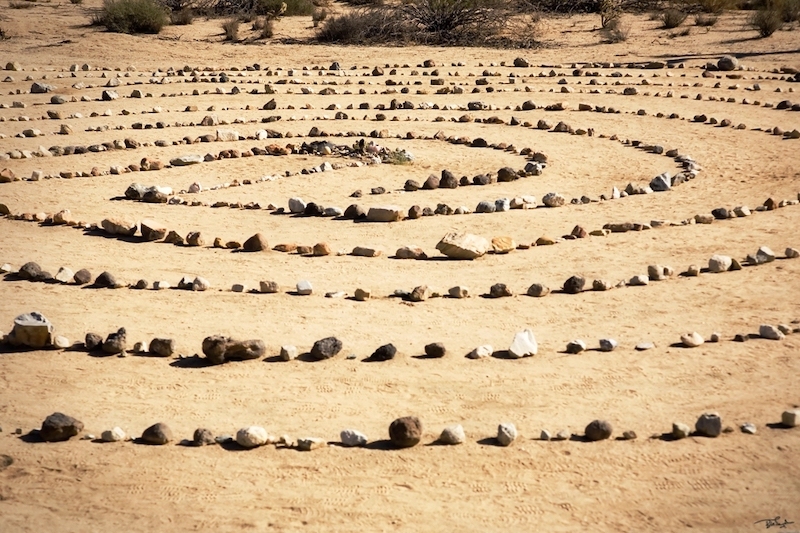 Come experience and take part in The Rose Labyrinth, Medicine Wheel, OM Hill, Chalice Well, Outdoor Yoga Pad, Amphitheater, Pool and of course ALL 18 VORTICES! 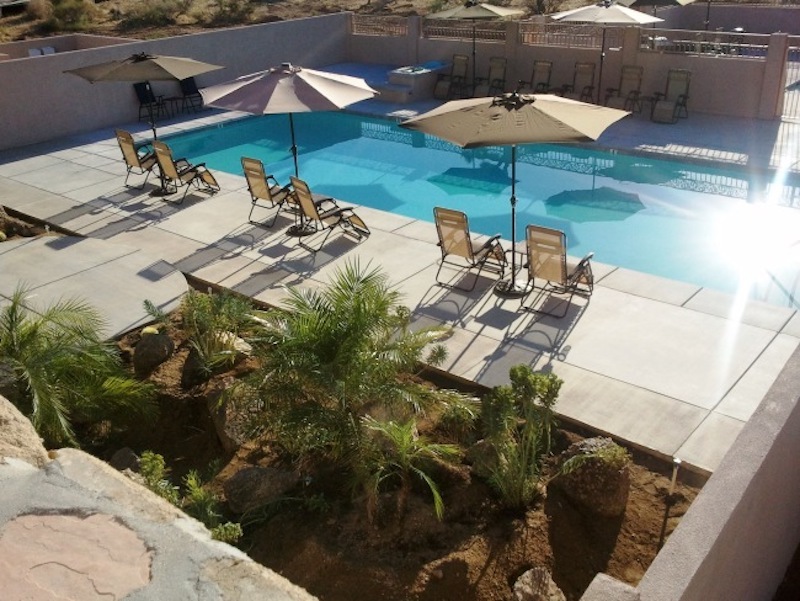 The apartments and studios have small kitchens, bathrooms and sleep from 4 to 7 people. The apartment accommodations vary and some offer the option of a queen bed. The first retreat guests to confirm their spot on the retreat and request a queen bed will have first priority. All Cottages sleep 2 people. 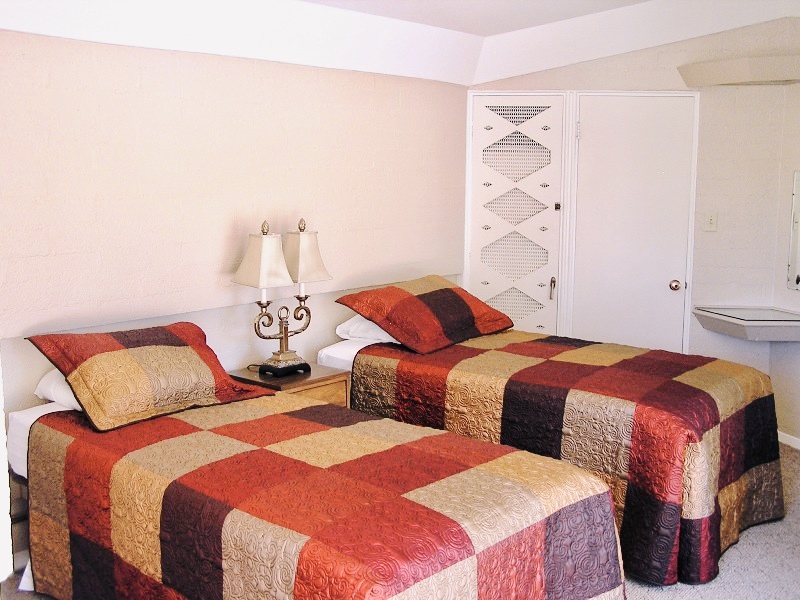 Each room has two twin beds and a bathroom. If you are planning to come with a friend, please let us know when you sign up their name so that we can assign roommates accordingly. Please let us know if you prefer male or female roommate and/or if you do not have a preference. PRICING INCREASES ON MAY 2nd! JTRC is 45 minutes from Palm Springs International Airport, 1½ hours from Ontario Airport, 1 ¾ hours from Orange County International Airport and 2 hours from Los Angeles. 10 Freeway East for approximately 100 miles to Exit 117 onto CA 62 East (29 Palms Highway) for approximately 25 miles and the Center will be on your left. 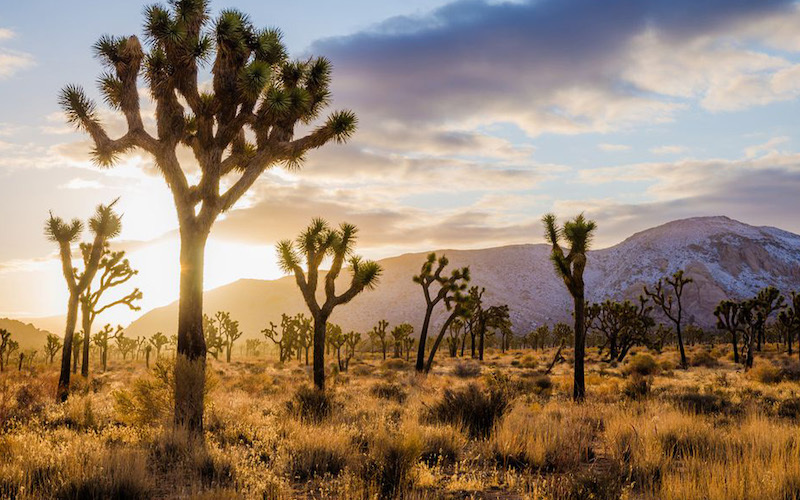 When you see the "Welcome to Joshua Tree" sign, you are seconds away. There is a large rust-colored metal sculpture and a sign at the entrance on your left. If you reach downtown Joshua Tree, you have gone too far. 215 North to 60 East (Exit 29) to 10 East (Exit on the Left) go approximately 22 miles to Exit 117 onto CA 62 East (29 Palms Highway) for approximately 25 miles and the Center will be on your left. When you see the "Welcome to Joshua Tree" sign, you are seconds away. There is a large rust-colored metal sculpture and a blue sign at the entrance on your left. If you reach downtown Joshua Tree, you have gone too far. WHEN AND WHERE IS ELEVATE THE GLOBE’S SACRED MOON CAMPOUT? Elevate The Globe’s Sacred Moon Campout is the weekend of Thursday, May 16th through Sunday, May 19th in Joshua Tree, CA. 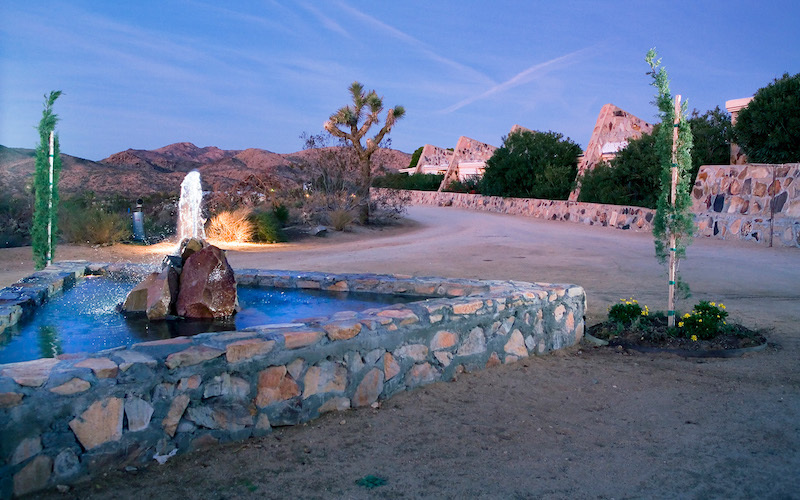 The retreat will take place at the Joshua Retreat Center Institute of Mentalphysics. Check in is on May 16th at 3pm. Check out is on May 19th at 12pm. WHAT’S THE DIFFERENCE BETWEEN SHARED COTTAGES AND COMMUNITY APARTMENTS? Shared Cottages have two twin sized beds and a shared bathroom. The Community Apartments have 4 twin sized beds with a communal bathroom. Yes, all food will be vegan and organic.